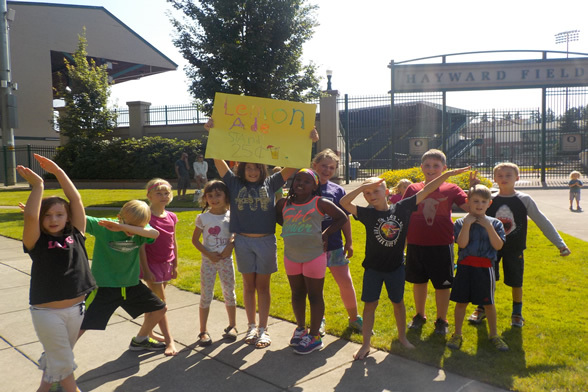 Housed on the University of Oregon campus, the Vivian Olum Child Development Center's SUMMER BY THE WEEK! camp provides an active, full-day camp experience for children entering 1st-5th grades in the fall. Our weekly themes allow campers the opportunity to discover and try new things in a comfortable and safe setting. SBTW! camps offer an amazing variety of activities including arts & crafts, nature exploration, weekly swimming at Amazon Community Pool, and special themed related field trips and activities. Our dedicated and highly trained staff encourage campers to challenge themselves on a daily basis, make new friends, explore new things, and build memories that will last a lifetime! Camp hours are 8:00 am to 5:30 pm. Themed activities and field trips occur between 9:00 am - 4:00 pm.